A convicted child killer, who was suspected in the disappearance of six-year-old Mary Boyle in Donegal 39 years ago, has died in prison. 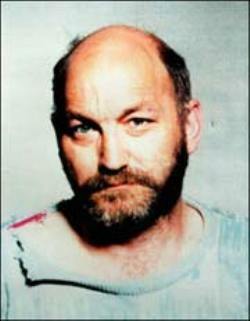 Robert Black (68) was serving 12 life sentences in Maghaberry Prison in Northern Ireland for the murder of four schoolgirls in the 1980s. Scottish-born Black was caught by police with a barely alive six-year-old girl hooded, bound, gagged and stuffed in a sleeping bag in the back of his van in the Scottish village of Stow in 1990. He had sexually assaulted her moments earlier. He was subsequently convicted in 1994 of three unsolved murders from the 1980s – those of 11-year-old Susan Maxwell, from the Scottish Borders, five-year-old Caroline Hogg, from Edinburgh, and 10-year-old Sarah Harper, 10, from Leeds. In 2012 he was also convicted of the 1981 murder of nine-year-old Jennifer Cardy from Ballinderry, Co. Antrim. Black worked as a van driver and regularly travelled to Ireland. In 2014 a new witness came forward implicating Black in at least five further child murders, including that of Mary Boyle. The witness struck up a conversation with Black in the Red Lion pub in Stoke Newington, North London. Black proceeded to reveal information about a number of unsolved child murders that only the guilty person could possibly have known. Mary Boyle was one of the names mentioned by Black in this conversation. The six-year-old girl was reported missing by her parents on Friday, 18 March 1977. She had been at her grandparent’s house in Cashelard, Ballyshannon, Co. Donegal where she was having lunch with members of her extended family. She went for a walk in some nearby fields and never returned. There has been no trace of her since and her body was never recovered. Black was also suspected of being involved in a number of other unsolved child disappearances in the UK and Europe, dating back as far as 1969.